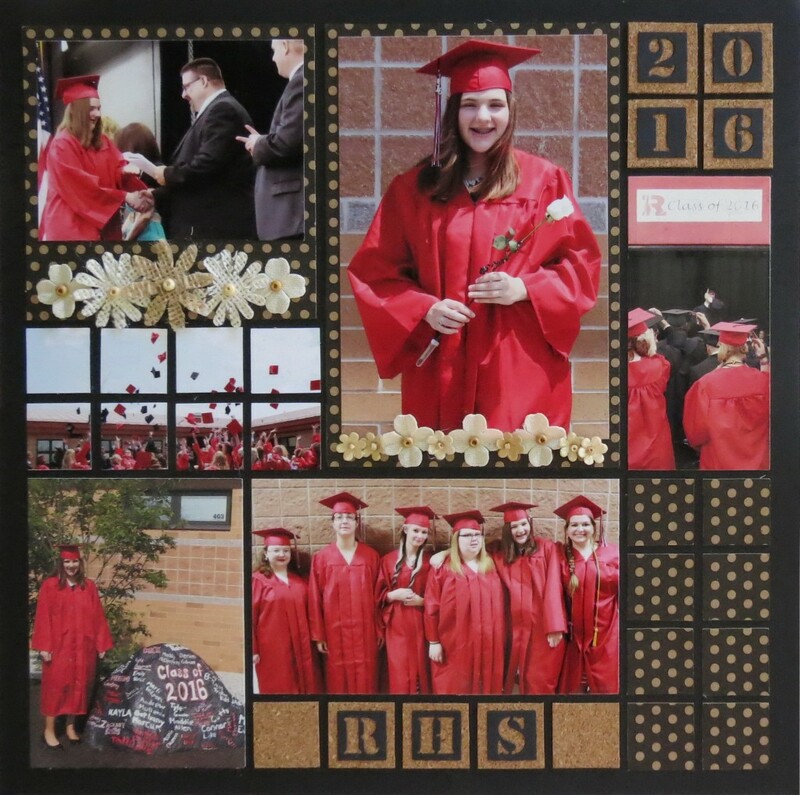 When it’s that time of year for graduations you may want to take cue from Andrea and add a little texture into your pages. Her fiber of choice this time is burlap. Burlap flowers with beaded centers star in this graduation layout. 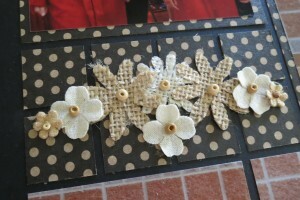 There are additional flowers in muslin and paper all with beaded centers and some with glitter. 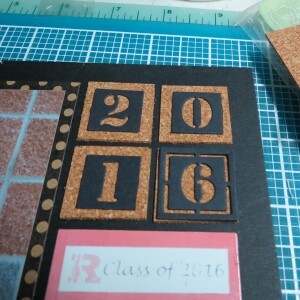 A black 12×12 grid base with a touch of Adhesive Corkstock and Black & Kraft Mini Dot Reverse both from Canvas Corp are included. 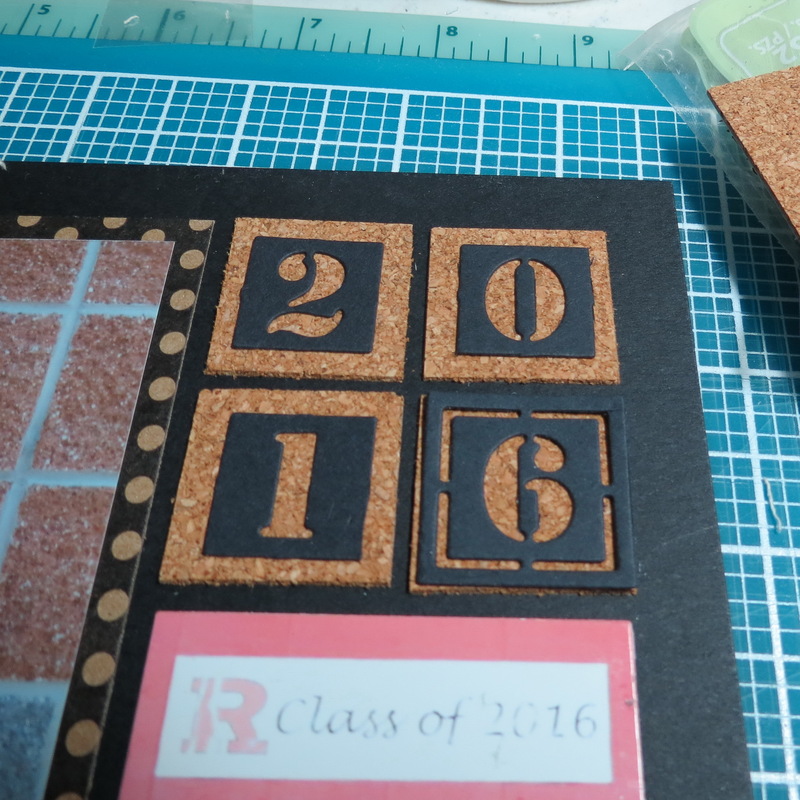 Mosaic Moments Alphabet and Number dies with the outside edge removed to show off more of the cork. 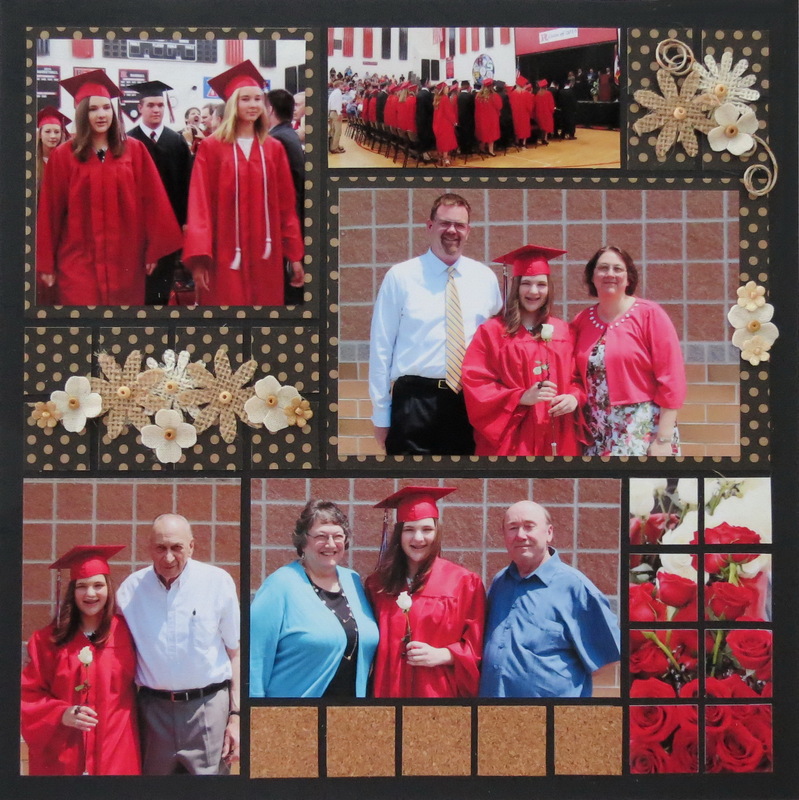 In this layout I had a photo I wanted to include that would not fit in the given spots of the pattern, so I used a size to get the most from the photo and mounted it on the square dot mat and then used the space below for a flourish of flowers to enhance the page. MM OTW Scrapbook Trends: Fiber Burlap flowers and cork Altering the pattern to suit a photo adding embellishments to enhance the space. 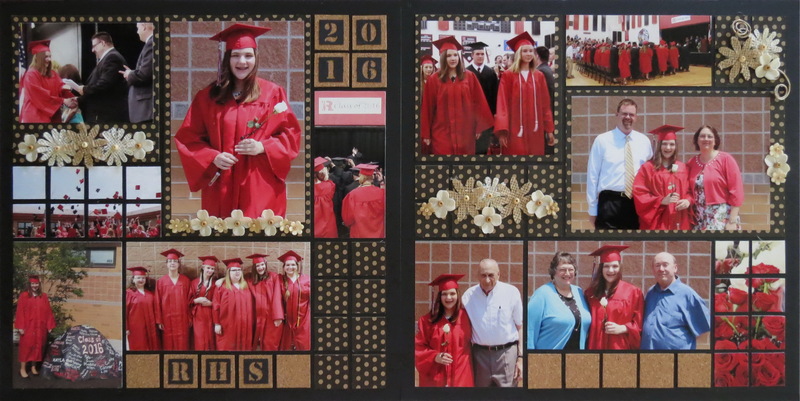 The striking contrast between the black, kraft and cream page was a nice neutral backdrop to let the school colors, red and black, bring a punch of color to the page. 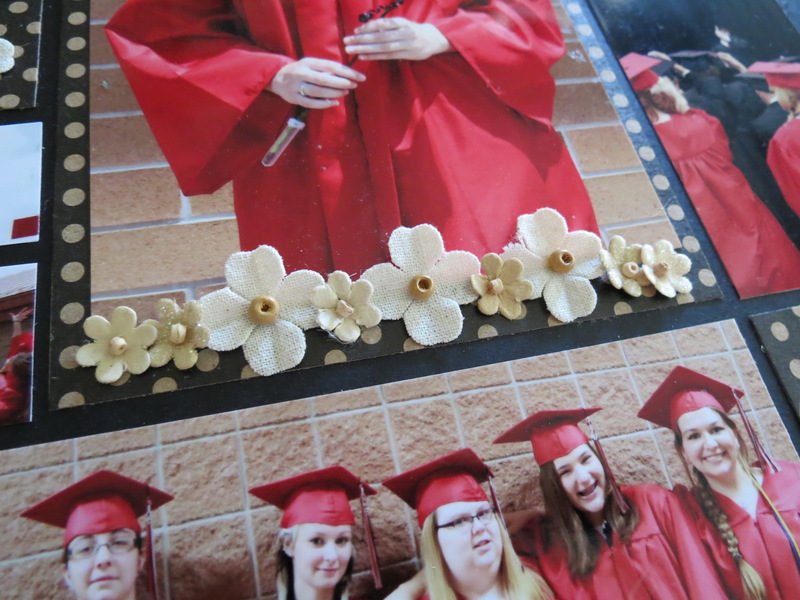 I did do a companion page to go with this layout to get all the photos in with some additional embellishments. I used the same pattern #219 with a slight alteration to accommodate a large horizontal photo. 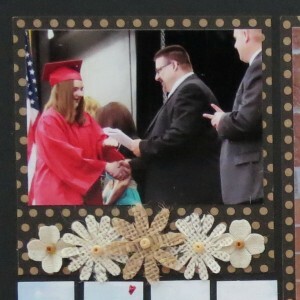 A special thanks to Stephanie Murdock for the use of her photos of her daughter’s recent graduation day. 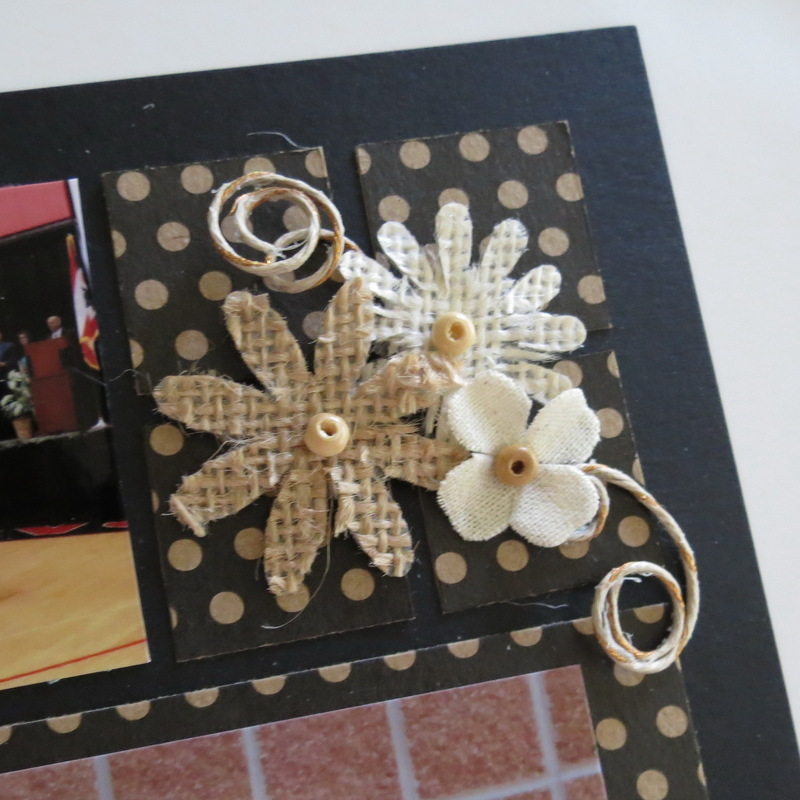 So next time you are browsing the local scrapbook shop keep your eye open for new things to try. If you have a coupon and catch a half-price sale even better! 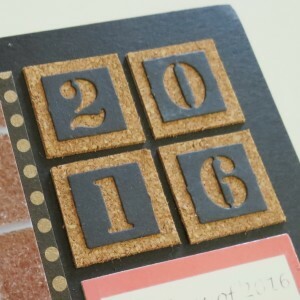 Let’s hope you have fun using some of this summer’s scrapbook trends in your layouts!